The Annual International Story Telling Week ‘Once upon a time’, began at SAI Angan on Thursday, February 7, 2019. In the week, students from KG I to Class III will participate in the highly interesting and engrossing event, where stories will be read out from selected books that find a place among Time Magazine’s ‘100 Best Children’s Books’ list. 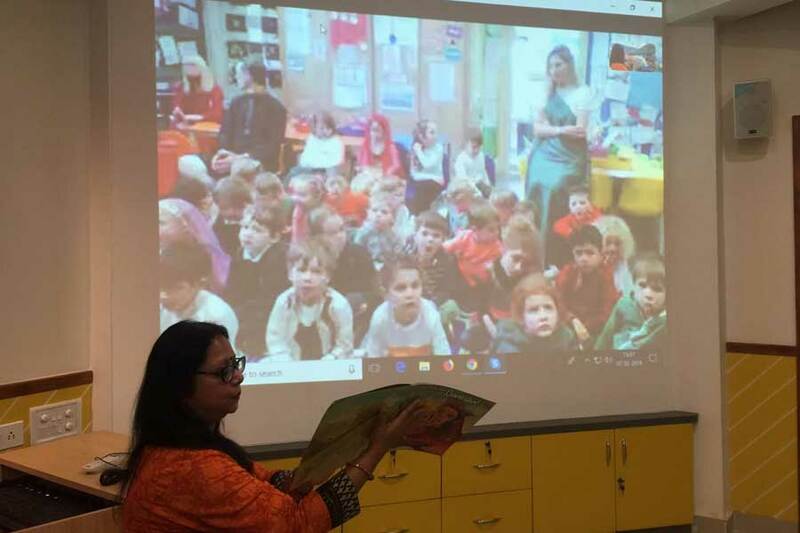 Students from Partner Schools like Churchdown Village Infants School (CVIS), UK and Scooby-Doo Nursery & Day Care, Uganda, will join the little SAIoneers through Skype during the story reading session. 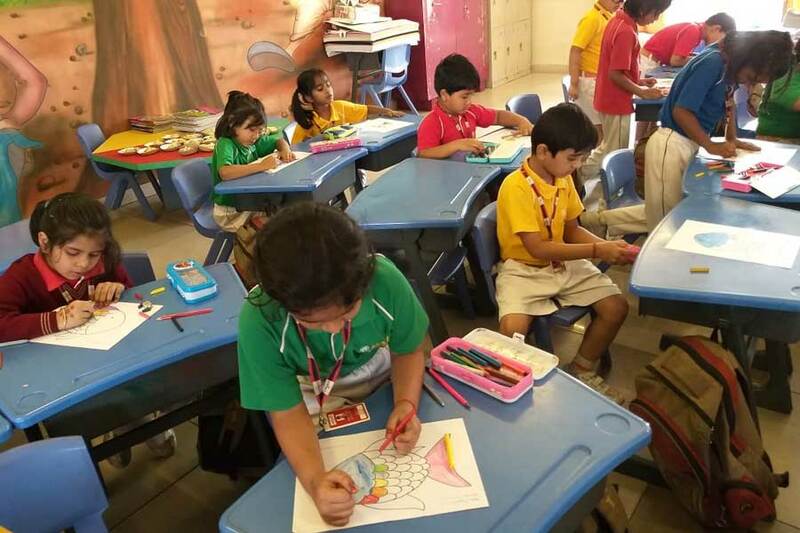 On the first day of the Story Telling Week, a session was held for students of Class I. The little ones got to hear a story on Rainbow Fish by the Swiss author Marcus Pfister. 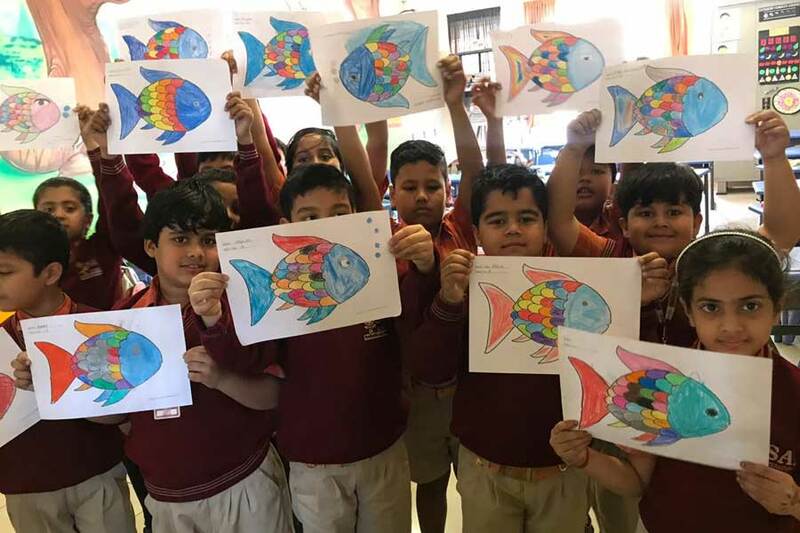 It is about a fish with shiny, multi-colored scales, who in pursuit of happiness realizes the importance of friendship and concludes that it is better to share ones most favourite things with friends than be left without any friends. The fish understood that material things are superficial and will never bring happiness. Students also created their very own fish for display on the SAI Angan bulletin board. 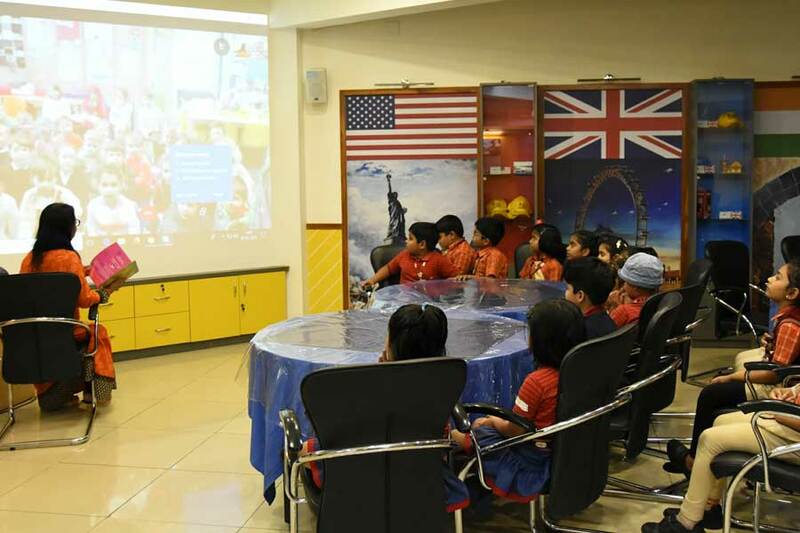 The students also participated in a 20-min Skype call with students of Class I from CVIS, UK. The SAI Angan Class Teacher read the story ‘Amma tell me about Ganesha’ to the students from CVIS, who loved the part when the elephant sacrifices his life and gave his head to save lord Ganesha. In reciprocation, CVIS Teacher, Mr. Kristian Rouse told the story of Farmer Duck. The little ones from SAI Angan enjoyed the actions that went along with the UK story. Everyone heartily giggled when they had to quack like a duck with the help of their hand. Students from both the schools thoroughly enjoyed the stories. Story Telling has immense impact on the growth and development of students. It increases the memory ability of children, increases vocabulary and improves listening and speaking skills.